This month, I did a small “reboot” of my blog here in an effort to redefine my personal brand. People know “Brandon LeBlanc” as the guy who works on the Windows Insider Program at Microsoft that also used to run the Windows Blog. A large part of my personal brand is tied to Microsoft – which is ok because I’m more than happy to admit I’m a self-professed Microsoft fanboy. But there’s more to “Brandon LeBlanc” than just Microsoft. I also care about other things – ranging from what Ford is doing with their car line-up to the in-development new Batman movie to the latest Marvel Cinematic Universe (MCU) movies as just some examples. I also care about equality in the workplace and space exploration. This is where I can talk about all that stuff. This is where I can craft MY STORY and be in control of driving my personal brand. What really motivated me to do this little reboot of my personal brand through my blog was my manager Dona Sarkar. She has a huge passion for helping others develop their own personal brand in addition to putting a lot of effort into maintaining her own – independently of her job as the leader of the Windows Insider Program. 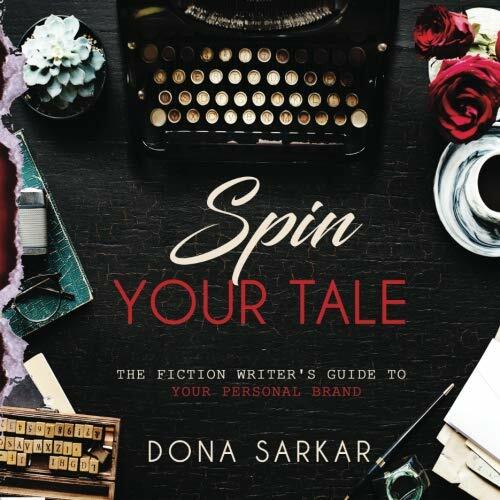 Matter a fact – Dona just recently released a brand new book called Spin Your Tale which talks about how you can craft and control your story which is the thing that leads to your brand. I highly recommend buying her book. Get busy crafting your story and building your personal brand. And watch me craft and build my own!